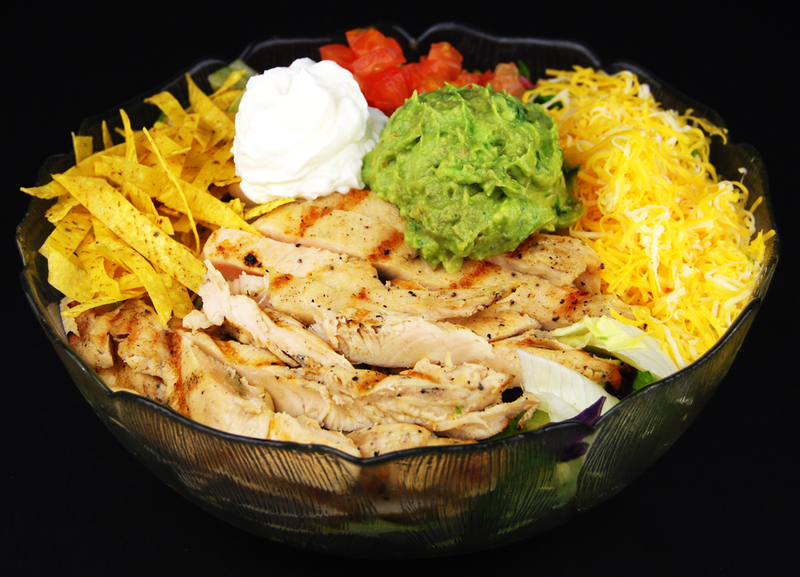 Tossed Green topped with our choice of grilled chicken or steak with cheese, tomatoes and crispy tortilla strips and served with Sour Cream and Guacamole. Chopped romaine lettuce tossed with grilled chicken, tomatoes, tortilla strips, corn, jack cheese and Tuscan caesar dressing. Tossed Green topped tomatoes and crispy tortilla strips. 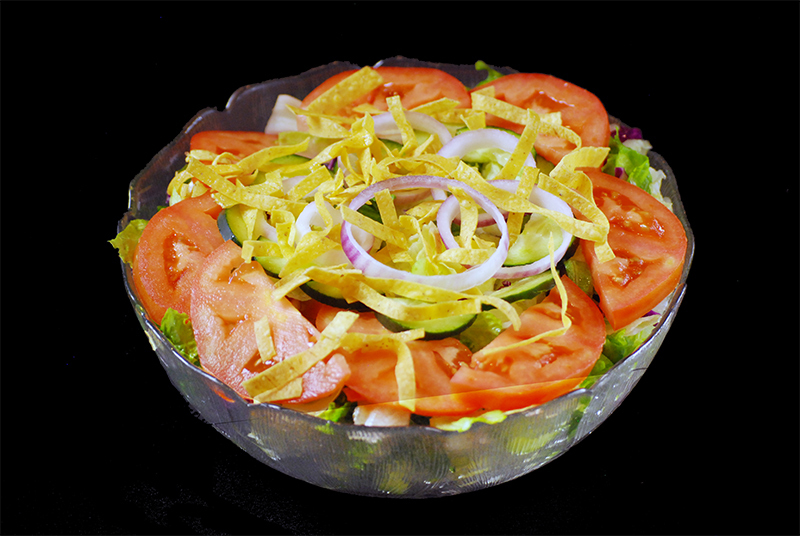 Order party salads online from Manuel's Mexican Catering for delivery and takeout. The best Mexican in Tempe, AZ.